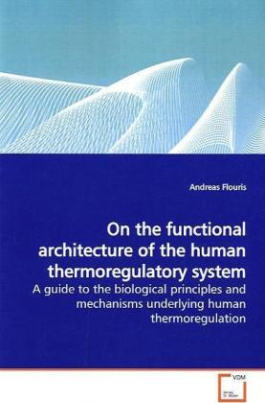 At the cellular and molecular level our knowledge of§mechanisms governing thermal balance is increasing§dramatically aided by the continuous advances in§technology. Yet, at the systems level (i.e., the§level of architecture and organization) several§fundamental questions remain unanswered. The most§prominent of these questions involves the mechanism§by which the thermoregulatory threshold is determined§which, after numerous investigations, remains a§mystery. The current book presents findings from a§series of five experiments in conjunction with§published data in an attempt to shed more light on§the functional architecture of the human§thermoregulatory system. The hypothalamic§proportional control around an adjustable set point§has been the prevailing concept of human§thermoregulation for the past 50 years despite§criticism from authors proposing concepts such as the Comparator Model , the Null Zone Model and Heat§Regulation Model . An in-depth discussion of these§concepts is presented together with experiments§aiming to increase our thermoregulatory understanding.